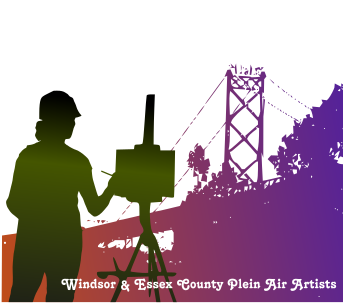 Our group, The Windsor & Essex County Plein Air Society, was established in 2009, and is devoted to educating and promoting plein air painting. The core members of the group have painted together since the mid 1990’s. We meet weekly on location, usually on Mondays, at various locations throughout Windsor, and Essex County. The group is open to anyone, and is free to join.